World Class Ozean, Bucht, Brücke und Ansichten! Ocean Front! Geräumiges und helles 2 Schlafzimmer, 2 Badezimmer Cottage mit Blick auf den Eingang des Alsea River in den Pazifik. Ansichten sind Weltklasse des Ozeans, der Mündung, der Nehrung und der Bucht von Alsea, einschließlich der anmutigen Bay Bridge. Ein kurzer öffentlicher Weg zum Strand ist vier Lose entfernt. Die Westwand ist Fenster und das Spiel von Flut und Strömung, Krabben und Fischerbooten, Sonnenuntergängen und Nachtlichtern sorgt für eine ständig wechselnde Show im Hinterhof. Sehr ruhige Straße ein paar Blocks vom Highway entfernt. 101. Voll ausgestattete Küche mit Geschirr, Waschmaschine und Trockner, Kabel-TV, Holzofen. Restaurants, Märkte, ein renommierter Videothek und Golf spielen Sie in wenigen Minuten in Waldport. Die Lage ist 1,5 Stunden von Albany / Corvallis und Eugene entfernt. .5 von Newport; .45 aus Salishan und Florenz. Comfortable house with amazing views including the always entertaining seals. Everything we needed was available at the house with great restaurants nearby. We’ll be back! The pictures on line make you think they can't be real but the view is amazing. This house has everything you could want for a vacation rental. Comfortable accommodations and a real cook's kitchen for an affordable price. We will be back. You could stay in the living room here all day just watching the waves and the anglers. The sunsets were amazing. It’s just a 2 block walk to a nice cafe. Getting down to the nearby beach is steep, but that’s what makes the view so great. The beach was very uncrowded. It was a 10min drive to Yachats where we went several times. The kitchen was fully stocked, all the gear you could need. The owner was very responsive when we had a minor problem. The beds were pretty comfortable. Most of the house has been redone and is lovely, but some is rather old and comes with an older house aroma. It wouldn’t stop me from going back though, I had a great time, and have been dreaming about the view ever since I left. House was as promised, clean and quiet. Very comfortable and just the right size for the six of us. The view is beautiful. We truely loved our ocean home. The kitchen is beautifully stocked for those of us who love to cook! Gas stove, wonderful gadgets of all kind for your cooking experience, the owner Mike was super friendly and responded ever time we reached out. Thanks for sharing your incredible home... we will be back ! We are already missing the stunning view of the beautiful bridge, bay and ocean! Awesome location and views - truly a gem. Very relaxing to get up in the morning, cup of coffee in hand, and watch the fisherman. What a spectacular view and wonderful to be able to just walk down to the beach for a stroll. 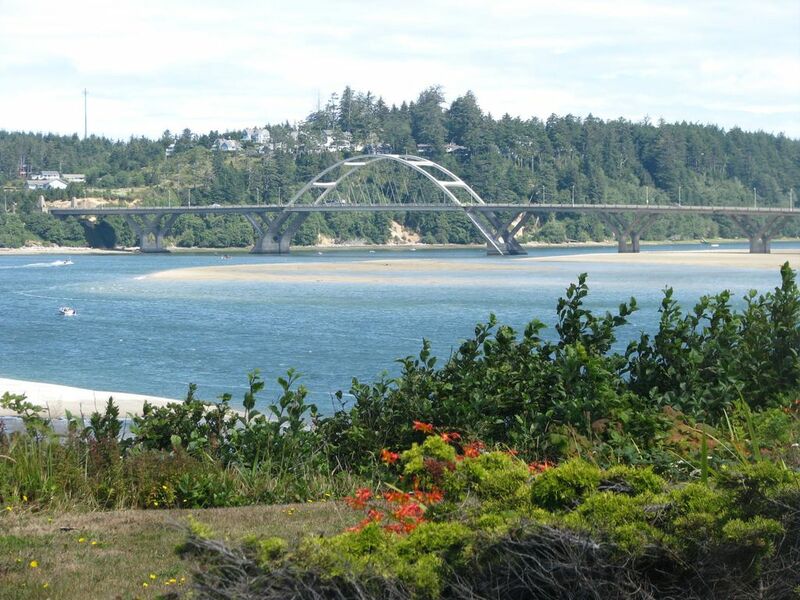 Waldport is a sleepy town but easy drives to some amazing scenery and hikes. The place was cozy with everything we needed and in working order. The beds were comfortable. We would definitely stay again and recommend!!! Thank you for a lovely stay! The only callout would be to the cleaning service - bathrooms weren’t very clean. The shower liner in the main bathroom had mold and really needed to be replaced. The second bathroom had dirty footprints on the floor. Will pass along the comments about cleaning to our service. The shower liner has been replaced. Thanks for the heads up. Rates for minimum of 4 days that include Thanksgiving or Christmas are $150/night.